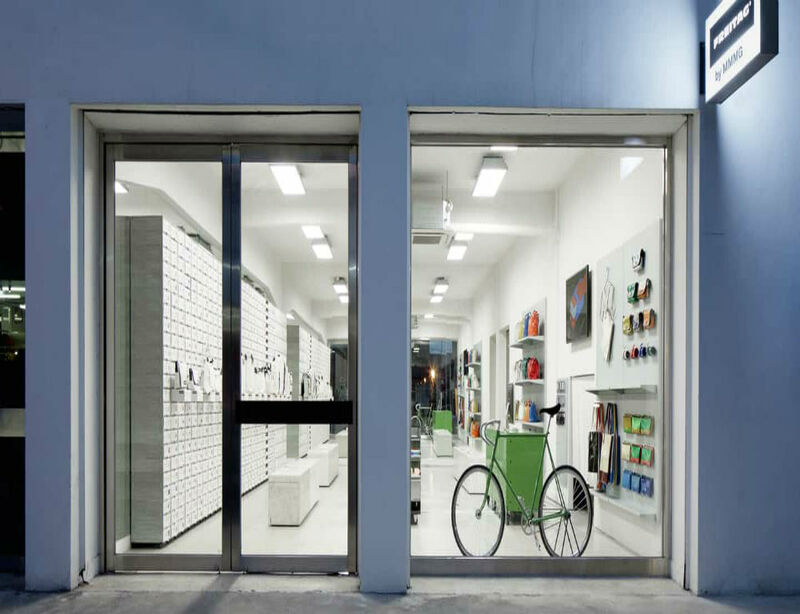 Homeware and lifestyle brand mmmg set up a special shop in Seoul’s Itaewon shopping district for Swiss brand Freitag, known for its bags and accessories made from recycled materials. Originally a design studio, mmmg had already been selling the Swiss merchandise along with its own catalogue of modern wares, so it decided to create a shop exclusively for Freitag that features the brand’s signature modular and industrial interiors and an inventory of 2,000 recycled pieces—bags, backpacks, smartphone accessories and more. Next to the store will be a pop-up and courtyard space to host artists and performances. The location is adjacent to an up-and-coming neighborhood alleyway that houses a new and modern creative enclave of young businesses and projects.